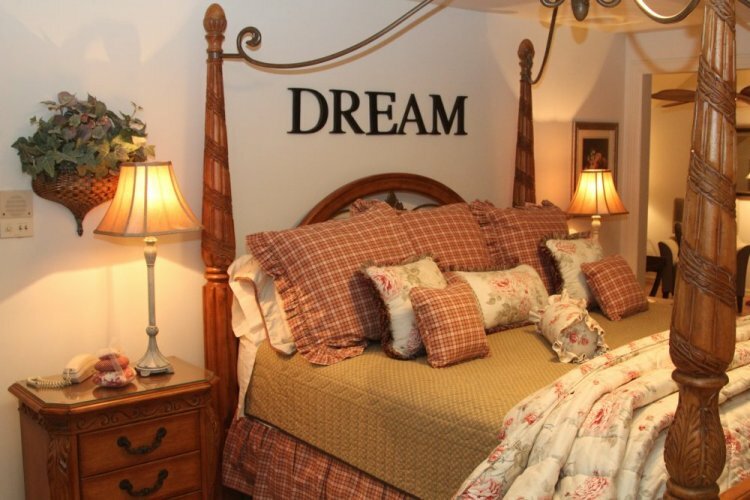 The Hearland Suite is the ideal getaway for any couple. A three-room suite decorated with an elegant yet casual style in mind, the Heartland oozes romantic details, from a large garden bath to a wood and wicker hutch that gives a Tuscan feel. The suite includes a king-size metal and wood canopy bed, large leather sofa and fireplace, perfect for snuggling up in from of before going to sleep. 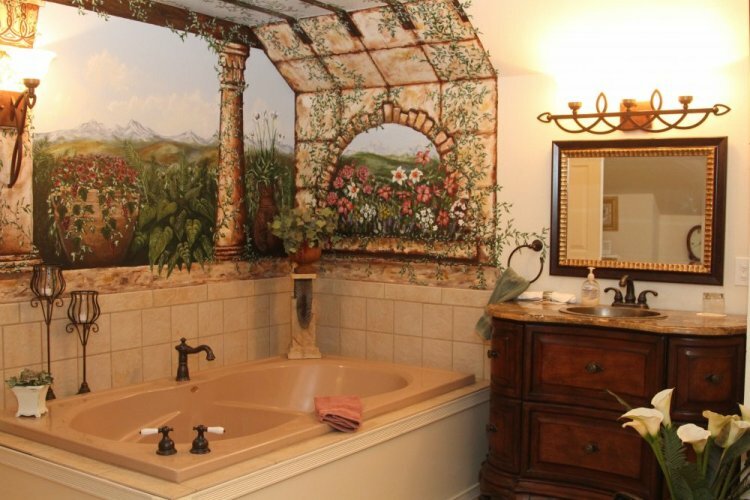 A garden-theme mural surrounds the Jacuzzi tub, and coupled with dimming lights, candles and bath salts, makes for a satisfying way to transport to another world without leaving the comforts of the suite. A small beverage and food station is located on the landing just down from the room, which allows any late-night snacker to quickly satisfy cravings they may have.